Home › Home and Kitchen › Bondream Reusable Wine Vacuum Bottle Stoppers For Air-Tight Wine Beer Champag..
Bondream Reusable Wine Vacuum Bottle Stoppers For Air-Tight Wine Beer Champag.. Features: - Extends the life of the wine. - Fits all wine bottles. - Takes out air from the wine bottles. - Tight seal so wine does not leak out. - Easy to use. 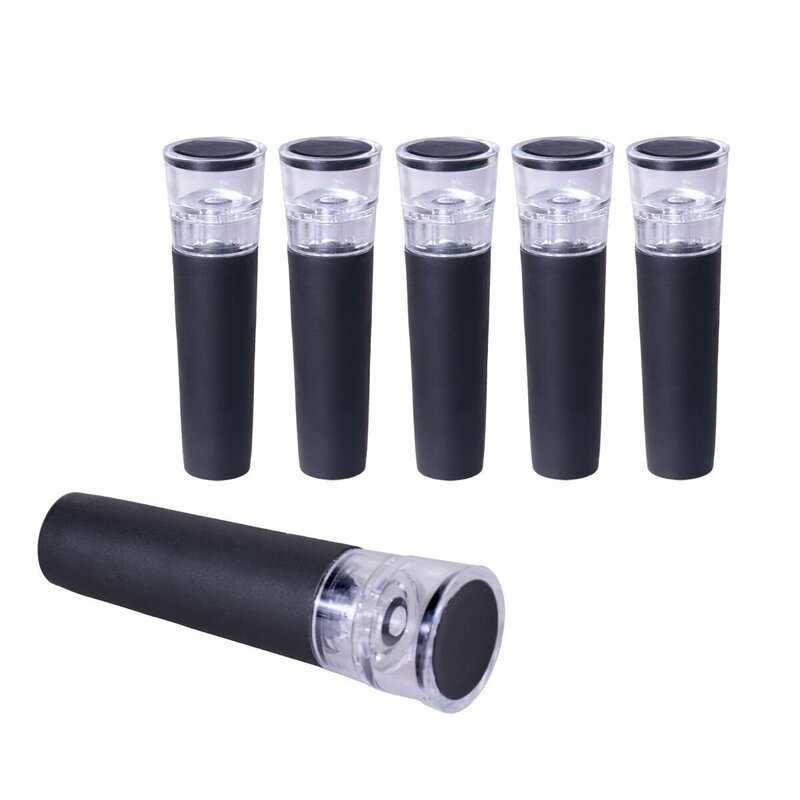 - Made of food safety material,duarable and environmental - Pakage includes 6pcs Wine Vacuum Bottle Stoppers HOW TO USE: The first step: plug the vacuum wine stopper into bottleneck. The second step: repeatedly pull the wine stopper head up and down to take theair out of wine bottle. The third step: once the resistence increases until you can't pull the winestopper head, it will be back automatical and then the bottle is vacuum.